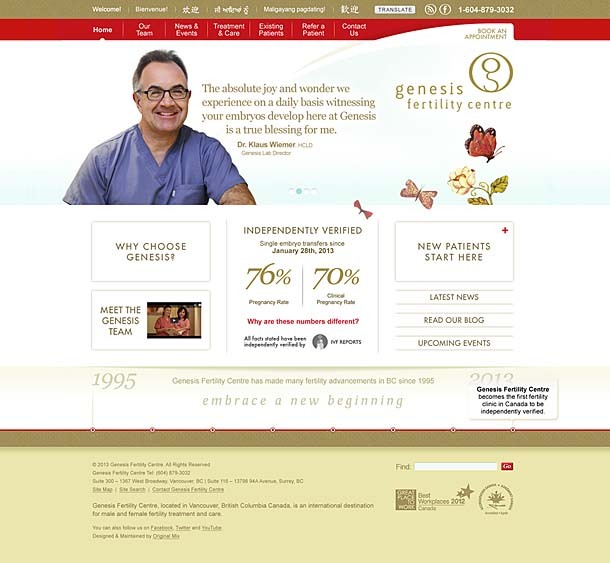 Genesis Fertility Centre had made some amazing advances in a very short period of time. We were asked to help communicate their improvements in a fresh and meaningful way, while remaining sensitive to the needs of couples seeking Genesis’ leading-edge fertility services. To fully identify the centre’s unique strengths, we quickly immersed ourselves in the Genesis brand via a comprehensive analysis. Using this key information as a guide, we produced multiple videos and developed a new website to better educate visitors about the key benefits of working with Genesis Fertility Centre.